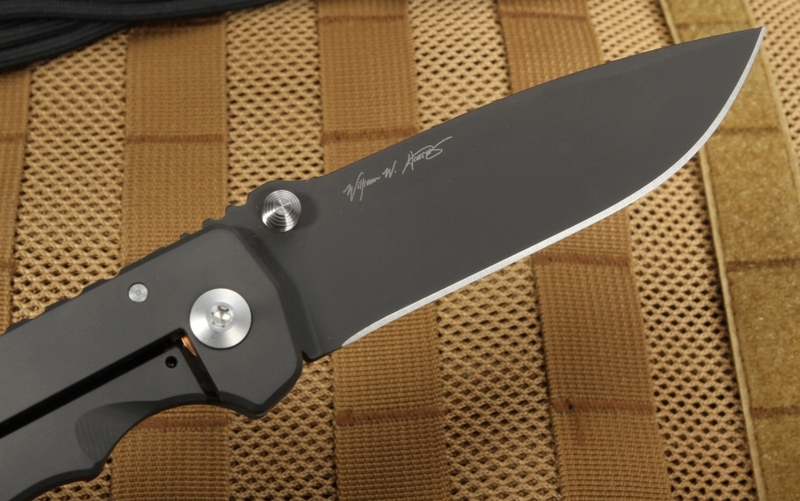 The Spartan Harsey Folding Knife (SHF) in full black-out DLC coating is going to become the knife you always want to bring with you. 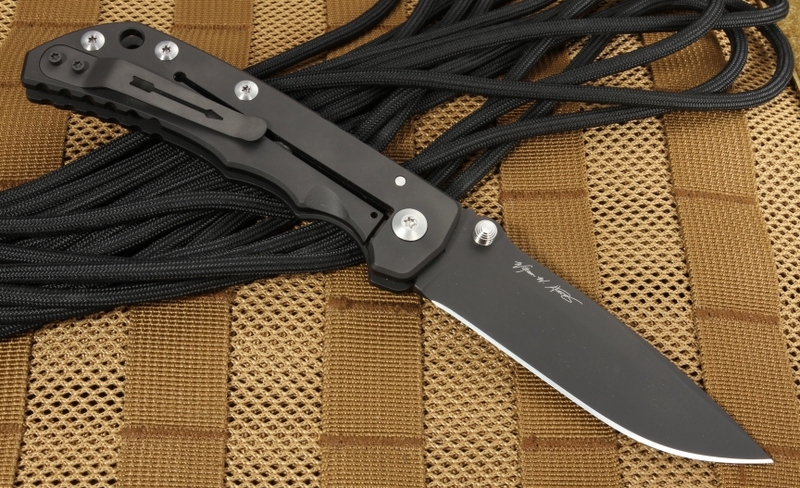 It will also become a standout piece in your high-quality carry gear. This knife carries the distinctive design of Bill Harsey, a custom knifemaker known to bring a highly practical design philosophy. 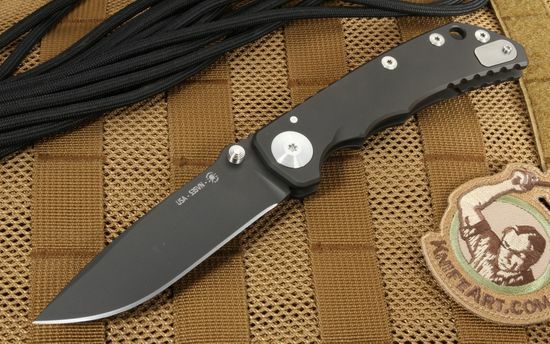 A Spartan folding knife is known for its premium construction and versatility born out of an attention to detail that comes from the decades of experience its founders have in the U.S. Special Forces. These American-made Harsey folders with titanium hardware are produced in small batches to do more for the modern outdoorsman. With a blade that's 4.25 inches long and an overall length of 9 inches, this knife is impressive in size but also in function. The stainless CPM-S35VN blade uses Crucible Industries' Particle Metallurgy production process and is hardened to RHC 58-60. The result is steel that's wear-resistant while holding a good edge. 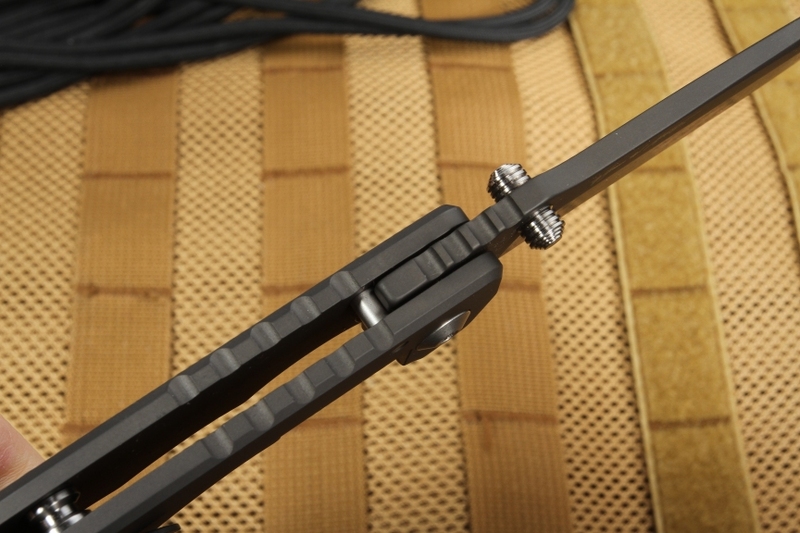 The blade is black PVD coated to reduce glare and to protect it from the elements. A capable multipurpose tool, the blade is a more traditional drop point flat grind design, allowing for piercing and puncturing as well as power cuts along its entire razor-sharp length. The dual thumb lugs are ambidextrous to give you the versatility of opening the knife one-handed from either hand. The full titanium handle, which has the same PVD finish as the blade, offers a lightweight function yet strength and durability you would come to expect from Spartan Blades. 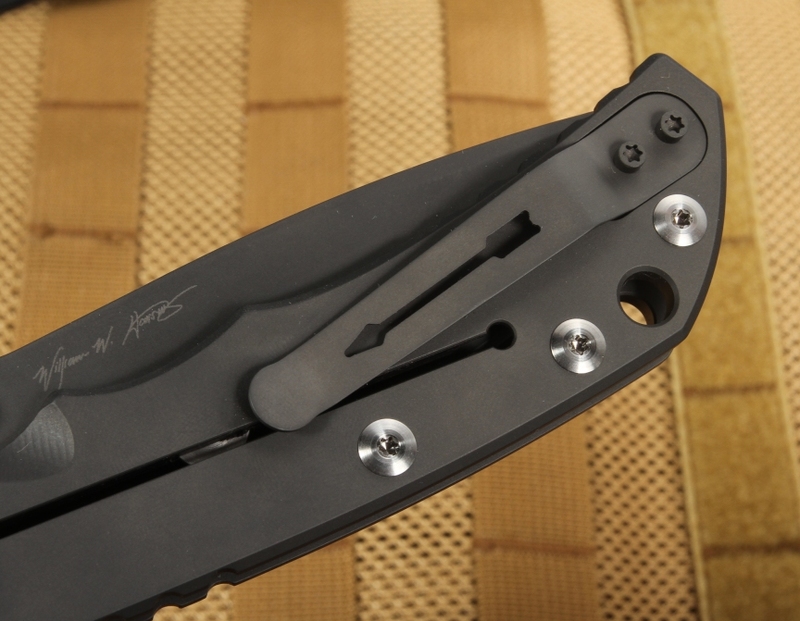 This aerospace grade titanium is used for everything except the blade, pivot and stop pin on this pocket knife for a solid build. The lock bar won't over-travel when stressed, ensuring the blade stays fixed when you need it to be. The frame lock keeps the blade steady in place, ready and reliable at all times. The simplicity and profile of the knife let you clip it to your belt, fit it into a pocket or hang it around your neck on a lanyard, ready to go whenever you need it. The rugged handle gives you the added benefit of being fitted to your fingers and palm for maximum control and power. With its warrior heart and modern precision-machined body, the SHF everyday carry is a knife for those who value quality in every facet of their tools. This impressive knife is a strong performer that's just flat-out cool to look at, and it's made in the U.S. Spartan Knives has a lifetime warranty that covers replacement parts and labor on any manufacturing defects, and we had a satisfaction guarantee as well for your peace of mind. 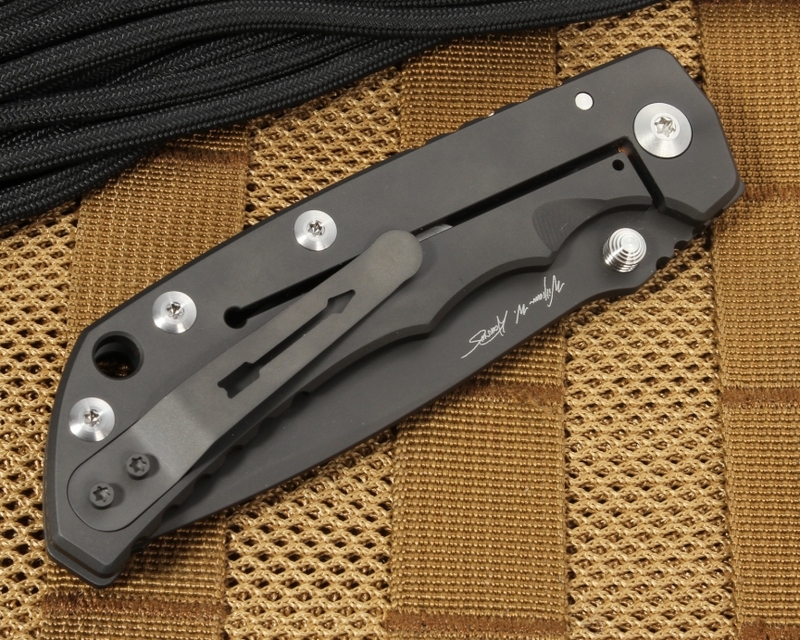 Free same-day shipping will quickly get this black Harsey folder in your pocket or on your display shelf. I'm a collector... I have several Harsey fixed/folders in my collection. This was is just like all the rest... too darn pretty to put to hard work. The craftsmanship and trim is as good or better than my other Harsey's. Spartan is also a great brand for high end hardware - always excellent quality in my experience. KA shipped fast and safe and their price crushed any other knife outlet I found for this same piece of hardware. Extremely sharp out of the box! Art work in titanium, beautiful, well balanced, easy to deploy with the thumb studs with a solid lock up. Can't imagine a stronger built knife by anyone. Finish is flawless and the lines of the knife flow so well from handle to blade. Gimping provides superb traction for any grip utilized. I love this knife, tempted to buy the stonewashed with blue hardware when the piggy bank gets replenished, just to look at.